A 21st Century perfume dedicated to the Venus in every woman— and the power of a good pair of blue jeans. 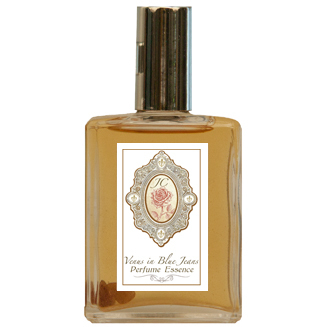 Venus in Blue Jeans is a sweet, earthy floral essence with some sassy heart notes and an euphoric citrus top note. Contains: Jasmine Sambac, White Ginger Lily, Ylang Ylang, Vetiver, Grapefruit and more. Infused with moonstone, blue topaz, and herkimer cyrstals.